One of the most rarely visited sights in Rome (due to strict ticketing rules), the Borghese Gallery is also one of its most magnificent. This tour allows your small group (with a maximum of 12 people) to explore the Titian, Caravaggio, and Bernini masterpieces inside the gallery, without crowds. 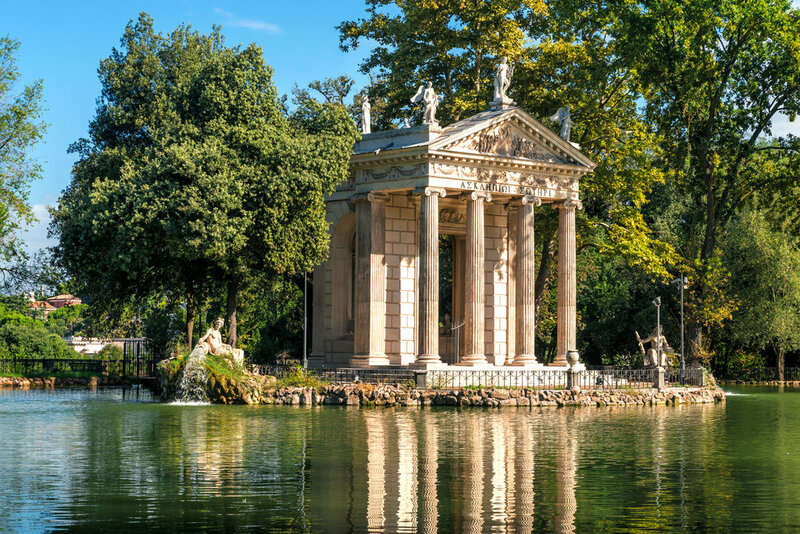 It also brings you through many of the surrounding, beautifully landscaped gardens—which comprise one of Rome’s largest public parks. Guiding you will be an English-speaking art and history expert, whose knowledge illuminates the stories behind these attractions. "I think it was the combination of our terrific guide, the intimacy of the tour group, and the limited visitors in the Borghese Gallery that made my husband and I consider this the highlight of our European honeymoon. I highly recommend this tour to anyone going to Rome, even if you're not into arts. It's enlightening, charming and just amazing!" After meeting your group near the entry of the lavish white villa that houses the Borghese Gallery, you’ll check your bags and then be ushered inside to wander among one of the most outstanding art collections in Rome. Among the works you’ll see, and learn about, are sumptuous paintings by Caravaggio, Titian, Rubens, Raphael, and Bernini. The 148-acre estate that surrounds the Borghese Gallery functions as one of Rome’s loveliest and most popular public parks. The property, much of which was designed in the 19th-century in the style of English gardens, includes shaded statuary-lined paths, elegant fountains, lakes, lawns, and many, many blooming flowers—in other words, it’s a marvelous place for a stroll. The Borghese Gallery specifically prohibits carrying bags inside. All bags will be checked in before entry to the museum. Not available every 1st Sunday of the month in both winter and summer season.